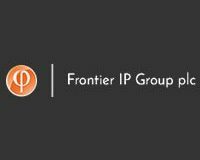 Frontier IP Group (LON:FIPP), a specialist in commercialising university intellectual property, today announced strong progress in Portugal with the incorporation of a new company which will be called Insignals Neurotech. Insignals is developing patented technology to aid deep brain stimulation surgery on patients suffering Parkinson’s disease, epilepsy and other neural conditions. Insignals, a spin out from the Portuguese Institute for Systems and Computer Engineering, Technology and Science with the support of São João University Hospital, part of the University of Porto, is developing wireless wearable devices to precisely measure wrist rigidity to help surgeons place brain implants more accurately.